早稲田大学早田宰研究室のホームページへようこそ　Welcome to Soda lab. 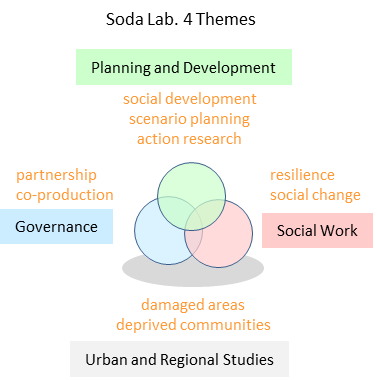 【Themes】changing or damaged areas, deprived communities, resilience and scenario planning, social development and change, partnership,co-production, etc. 【Topics】housing, food, family, civil society, social integration, education, etc.